Folks, it looks like we’re indeed getting closer to the official launch of Intel’s Z390 chipset platform. Reports have surfaced recently about an “accidental” leak by folks over at Biostar regarding the company’s upcoming Z390 GT3 motherboard. The details were reportedly found on a manual which was bundled with Biostar’s B360 Racing series motherboards. 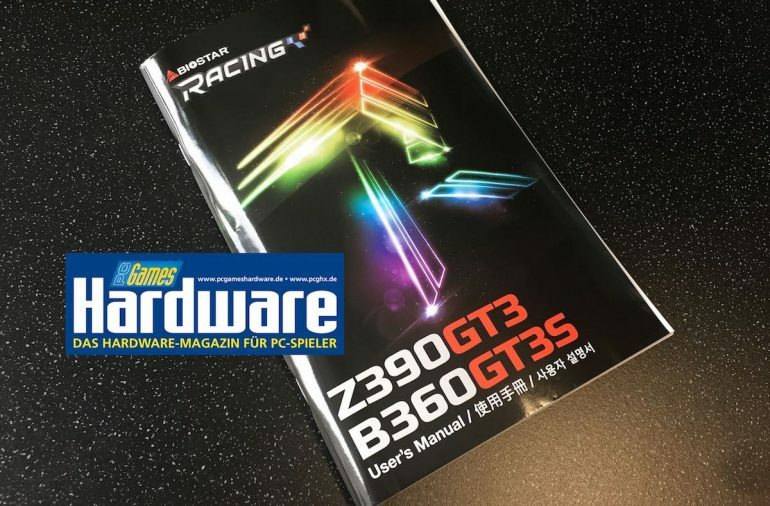 In addition, the manual can also be downloaded off of Biostar’s official website as well; but it’s from a different Z390 motherboard variant (Z390 Racing GT5). One of the more notable features of Biostar’s Z390 motherboard is the fact that Z390-compatible processors may come with TDP rating of 95W – the maximum supported TDP stated on the motherboard’s manual. Besides that, being a “Z” branded motherboard also means that Z390-based mainboards will support overclocking for Intel’s unlocked “K” processors. 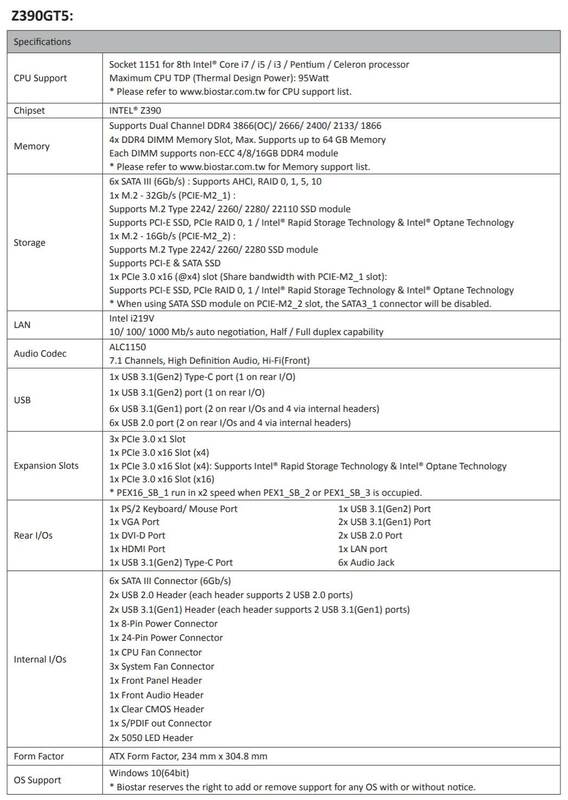 Aside from this, there’s really not that many major “differentiators” that can be seen on Biostar’s Z390 motherboard compared to its Z370s, in terms of specifications, at least. That said, it’s still rather premature to say that Intel’s Z390 platform won’t be coming with major changes when it becomes available. We’ll have to wait for Intel’s official announcement to know for sure. Until then, to take this one with a grain of salt.